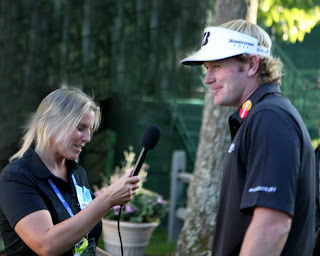 Liza Churchill interviews PGA Tour Pro Brandt Snedeker after his third round at the 2010 Deutsche Bank Championship. 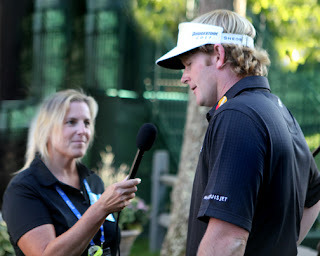 Brandt shot a score of 4-under 67 trailing Leader Jason Day by 1 stroke. Brandt turned pro in 2004 and currently has 3 PGA Tour top ten finishes this season.